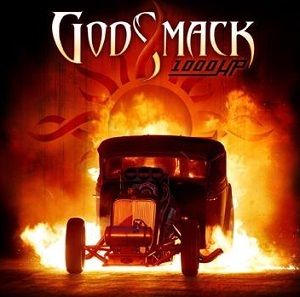 Godsmack are back with their sixth album - 1000hp. It's been a four year wait for fans since their last studio album (The Oracle). "What's next" has a nice heavy guitar sound, and the song treads a fine line between rock and metal - with more agressive vocals it could easily be a full on metal song, but as it is, it should appeal to fans of rock and metal. While "What's next" may balance rock and metal, "Locked & loaded" is more of a metal song, and at times the vocals remind me of Metallica. There is a great mix on this album - some rock, some metal and some songs that are somewhere between rock and metal. As such the album should appeal to a wide range of fans - hard rock, alternative rock, metal - the only thing that matters is that this is a great album. With so many great bands around the world releasing music, it's easy to miss some great albums as people simply don't have the time to listen to everything. What I would say is that this album is definitely well worth a listen - if you like the video above then I'd suggest you buy the album. I've certainly been impressed by this album and will be checking out some of their earlier albums as a result.